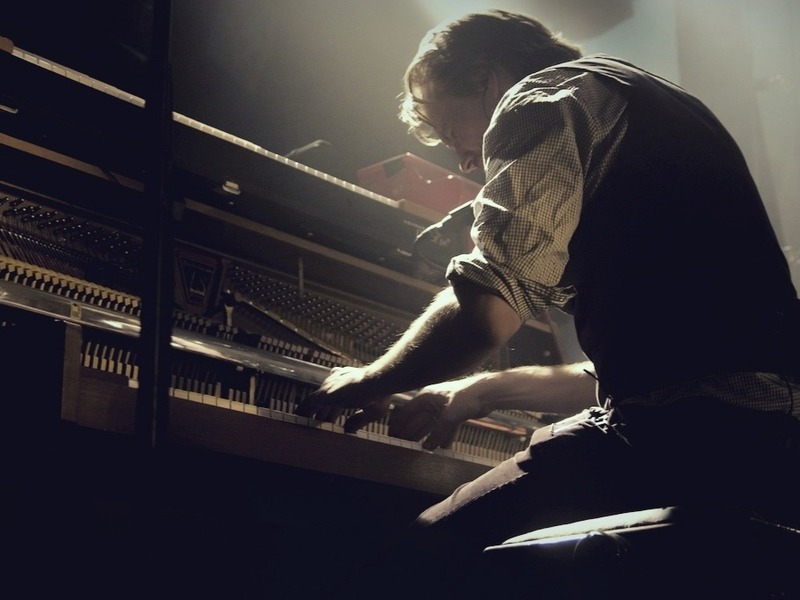 Composer and pianist John Erik Kaada has been described as a key voice on Norway’s blossoming music scene. With a mass of successful film scores, music for commercials, and an entertaining dip into the world of jungle rhythms all wedged in between this release and his 2001 debut, Thank You for Giving Me Your Time, it’s not a surprise that Closing Statements is one of sheer brilliance. Take a listen to his new album at the end of the article! I asked Kaada about the compositional process of three of his piano-heavy tracks on this album; Everything is an Illusion, Clearing Out, and Hey unfair, that was my exit! All feature repetitively fast moving piano phrases. Knowing that you are listening to an artist’s interpretation of such sacred moments is quite a vulnerable experience. At the same time, you cannot run away from the feeling that the music you are listening to is outrightly stunning. Both Unknown Destination and Useless, Useless continue this theme. For the former, there is a contrast between the melancholic legato theme and the surprising yet tense staccato section created by plucking the strings that represents the title to a T. The destination of this track is unknown as we jump between the two different themes. For the latter track, we are introduced to some exceptionally stunning vocals around the 1-minute mark. These delicate breathy male vocals feel like a sign of life amongst the eeriness that surrounds them. Keep up to date with Kaada on Instagram, Twitter, and via his website. Take a listen to his new album below.